Many newlyweds would usually opt for a Bali Getaway for their honeymoon due to its lush tropical landscape, beautiful beaches, and private villas. If you’re not one who likes to follow the herd, why not consider Yogyakarta, where you can get all of those, plus the added draw of visiting cultural and heritage sites? 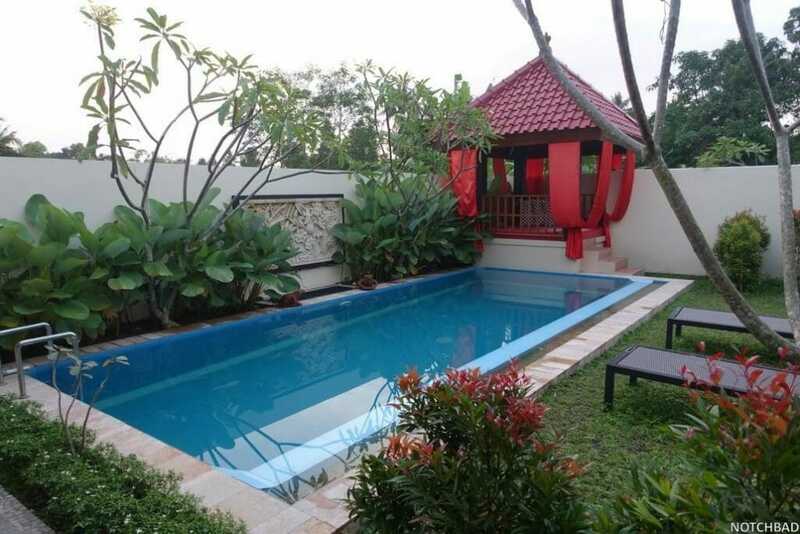 In this article, we have collated some of the best Private Villas in Yogyakarta under USD $300! Villa Borobudur Resorts host several villas that hold scenic views. Choose from villas located in the jungle or those atop a hill that gives you a bird-eye’s view of Mount Merapi. The luxurious villas at the resort have its own private pool, and private staff that will wait on your every need. Most of these villas also have an option to opt for a Java inclusive arrangement, where all meals are prepared and served in the comfort of your villas, inclusive of return transfers from the airport. Although these luxurious villas are off the budget, consider the suites where you can enjoy similar privileges at a fraction of the price! Umah D’Kali Villas are located less than 3 km away from the centre of Yogyakarta. These villas are located in the midst of lush vegetation where one can experience living within nature. There are three villas to choose from – Villa Jodhpur (suits 4 people), Villa Bali (suits 4 people), and Villa Java (suits 2 people). 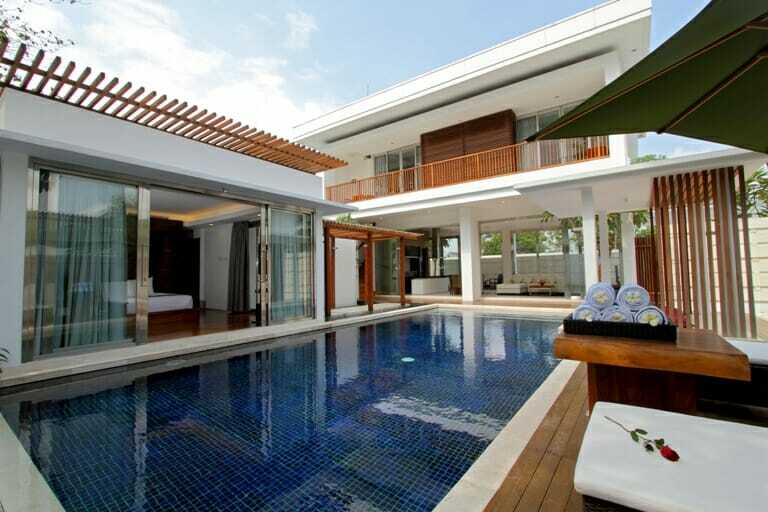 Each villa is designed individually and has a unique Indonesia flavour and décor. For the space that you get this private villa in Yogyakarta, it is definitely worth the money. 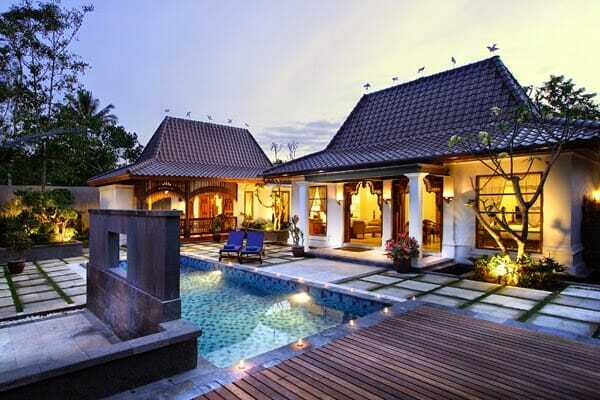 Each villa costs approximately USD $65 per night. Rosseno Villa features a large private swimming pool that you can soak in anytime of the day. It also provides all-inclusive services such as meals and butler services. In the dining area, you can admire the large padi fields while having your meals. Rosseno Villa houses 3 Villas – a 1 bedroom, 2 bedroom, and a 3 bedroom villa. For those who want to learn how to make delicious Indonesian food, join their complimentary cooking classes! After all the exploring Yogyakarta, enjoy Indonesia massage in the comfort of your villa. Rosseno Villa’s definitely a great way to spend your honeymoon! 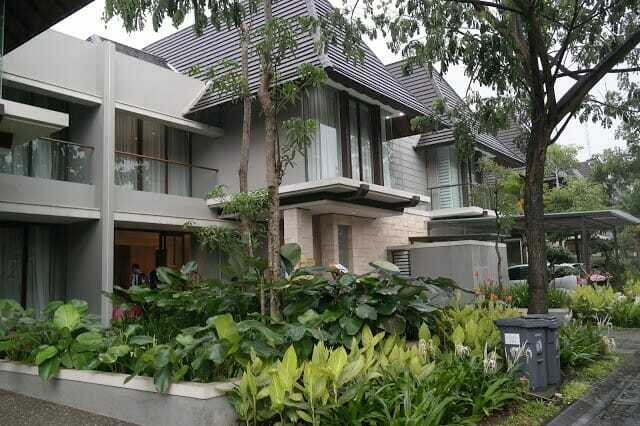 Villa Habitat is a modern villa that features 3 bedrooms, a living room, a dining room, a kitchen, and side terrace. Unlike the other villas that have a strong and unique Indonesia flavour, this villa is lightly decorated with Indonesia sculptures. Some rooms also feature a bathtub that you can enjoy a romantic soak with your other half. Although no private pools are in this villa, all that space and the price definitely makes it worth the stay! Other facilities of this villa include a fitness centre for all gym buffs that cannot stop gymming even when on holiday! Villa Blue Steps is located in a serene part of Yogyakarta that offers an amazing view of padi fields. It was a former Javanese wooden Limasan that has been restored and converted into a holiday villa. Newly opened in March 2016, bookmark this private villa in Yogyakarta for an authentic and unique stay. Kharma villa is located close to the popular Malioboro Street and offers luxurious and modern villas equipped with your own private pool. To bring in a notch higher, honeymooners can enjoy spa treatments and your very own butler services in this resort. Situated at the foot of Mount Merapi, honeymooners who wish to hike up Mount Merapi can stay a night to relax at Cangkringan! Cangkringan is a boutique hotel that offers spa services, and couple spa facilities for honeymooners. The entire complex of d’Omah Yogyakarta exhibits a true Javanese experience. With close attention to the furnishing and Javanese artworks, you would truly enjoy your stay. Book the villas to have a dip in your very own private pool or head to its spa to enjoy the hot tub and sauna. You can even participate in a Batik craft workshop nearby.